Check back again... Those went fast! 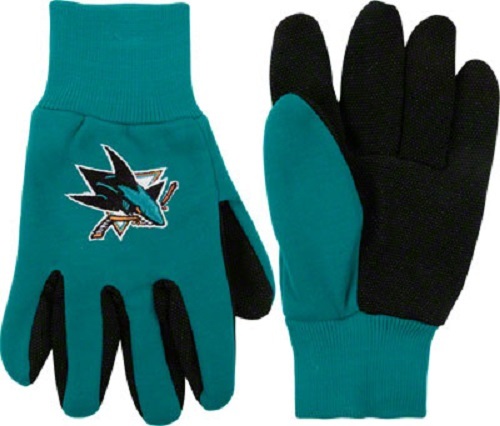 Officially Licensed NHL San Jose Sharks NHL Work Gloves. Work Gloves come officially licensed with your favorite NHL National Hockey League team logo on them. Work Gloves are great for yardwork and other tasks around the house. Made of 45% Cotton, 25% Polyester and 30% PVC. Reward Points 2 points will be rewarded to you when you buy this item.